The 2012 Hyundai Sonata SE that rolled into the Car Tech garage this week was not very different from the 2011 Sonata SE that I tested previously. It's got the same coupelike profile and Fluidic Sculpture design that I described as swoopy and polarizing in 2010. Although, after a year on the road and when compared with the Sonata Hybrid's fish face, its aesthetic is not nearly as polarizing as it was at its debut. In the cabin, the fit and finish haven't changed much. The dashboard tech is essentially the same and is still a pretty darn good value. Hyundai's subscription-based BlueLink telematics system is new to the Sonata and is now standard, giving users an OnStar-esque set of connected features for a monthly fee. However, the silver-and-blue 2.0T badge on the rear deck hints that this 2012 example of the Sonata SE is hiding something new under its hood. Compared with the 2011 model that I tested, which was powered by a 2.4-liter engine, this 2012 model loses 0.4 liter of displacement and gains a twin-scroll turbocharger and a heap of horsepower. Does more power make it better? The obvious answer is yes, but I hopped into the Sparkling Ruby 2012 Hyundai Sonata SE 2.0T to put that hypothesis to the test. The Sonata's power plant starts with a 2.0-liter four-cylinder block, adds a head with direct-injection technology, and finishes up with a twin-scroll turbocharger. Power is rated at a maximum of 274 horsepower at 6,000 rpm when boost tops out at 17.4 psi. The maximum torque of 269 pound-feet comes on at much lower engine speeds, being available between 1,750 and 4,500 rpm. Power builds in a fairly linear fashion and there isn't much of what I'd consider to be turbo lag. However, there is a definite delineation at about 4,000 rpm when you can feel the engine coming to life, pulling the sedan forward with surprising zest. There's not enough grunt to snap your neck, but there's plenty to induce a grin. Power flows to the front wheels via a single-option six-speed automatic transmission. The gearbox features a manual shift mode that allows the driver to chose gears by pushing the shift lever forward and back or by smacking the plastic paddle shifters located on the backside of the steering wheel. Before you turn your nose up at paddle shifters on a front-drive "sport" sedan, know that the Sonata's paddles have a great, clicky engagement and trigger reasonably quick shifts. I must have spent most of my driving time playing around with the paddles, which defintely explains the low fuel economy averaged during our testing. The EPA estimates the Sonata 2.0T's economy at 22 mpg in the city, 34 mpg on the highway, and 26 combined mpg. After a week spent aggressively using the manual shift mode to keep the turbo spinning with almost no highway cruising to balance things out, the trip computer reported only a 16.6 mpg average. 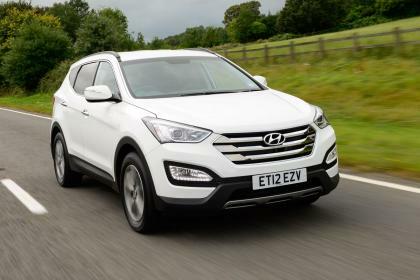 Drivers looking to get closer to that 26 mpg average should leave the gearbox in its automatic mode and be more gentle with their right foot when driving. However, if you lack self control, Hyundai has equipped the Sonata with an Active Eco mode. Activating this mode adjusts the shift program of the automatic transmission, favoring higher gears and lower engine speeds. 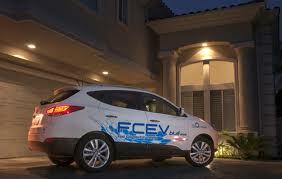 Active Eco also remaps the throttle response, digitally lightening your lead foot. 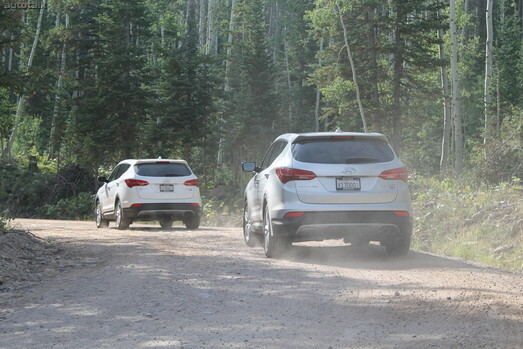 The result is a duller ride and slower acceleration, but better fuel economy. Compared with the entry level GLS trim and the top-tier Limited levels, the Sonata SE 2.0T model features a firmer, sport-tune for its MacPherson strut front and independent multilink rear suspension. The SE uses the same 24mm front stabilizer bar as the GLS/Limited, but a thicker 17mm rear stabilizer bar (versus the standard 15mm bar). The Sonata SE also upgrades with 18-inch wheels and wider 225-width performance tires. So, the Sonata SE has slightly more mechanical grip than the other trim levels. I didn't notice any creaks and groans from the Sonata's body or suspension components when I tested the 2011 SE model two years ago, but I did hear this 2012 model's rear end protesting slightly as I eased it over speed bumps and over rough roads. I'm not sure the creaking is specific to our press vehicle, but it was annoying enough merit mention in this review. You'll want to listen for this on your test drive. 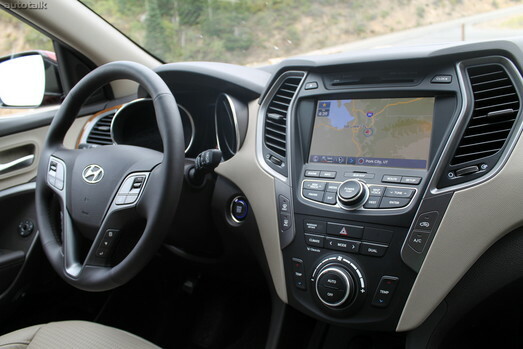 In the cabin, the Sonata features what has become Hyundai's standard technology suite and trim level organization. Bone stock, you get AM/FM terrestrial radio, SiriusXM Satellite Radio, Bluetooth hands-free calling and audio streaming, standard USB and auxiliary inputs, and a single-slot CD player that decodes MP3 files. Add a $35 iPod cable to bridge the USB port and aux-input and add connectivity with the iPhone, iPod, and iPad. The midtier SE model also features keyless entry, push-button start, and "Sport cloth seats" with leather bolsters and power adjustment for the driver's position. The Sonata SE doesn't feature heated or ventilated seating surfaces or memory for its single power seat. 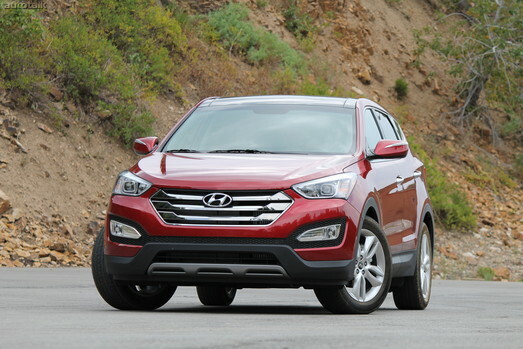 Most of that tech is par for the course when you're talking about a modern Hyundai car. However, new for the Sonata is the Hyundai BlueLink telematics system that debuted on the Veloster last year. BlueLink nets the owner a variety of features that can be used both in and outside of the car. From the driver's seat, the Sonata owner can access Roadside Assistance, SOS Emergency Assistance, and Automatic Collision Notification with the basic Assurance level of service. From outside the vehicle and with the midtier Essentials level of service owners can remotely start, unlock, or honk the horn of their vehicle with a smartphone app; slowdown, immobilize, and recover a stolen vehicle; and receive alerts when the vehicle leaves a geofenced area, has its alarm or panic mode triggered, exceeds a preset speed, or is operated after a preset curfew. At the top-tier Guidance package, BlueLink becomes a sort of cloud-based navigation system that allows users to search for destinations and points of interest (POIs) with voice commands, search for and send destinations to the car from a web interface, and receive traffic and weather updates. The Sonata comes with a 90-day free trial of the full BlueLink functionality, after which owners will have to choose between the $79 per year Assurance package, $179 per year Essentials package, or the $279 per year Guidance package subscriptions. Additionally, the Sonata SE 2.0T is available with a conventional, in-dash navigation system as part of the optional Navigation and Sunroof package. This upgrades the sedan's dashboard with a 7-inch touch-screen display that is used with the solid-state navigation system and rear-view camera added as part of the package. This is Hyundai's same basic navigation system that features two-dimensional maps. It's a simple setup, but it's also effective with XM NavTraffic data and a good voice command system. This package also includes the XM NavWeather, Sports, and Stocks data feeds and upgrades the stereo system to a seven-speaker, 360-watt Dimension audio system with a powered subwoofer and adds HD Radio decoding to the terrestrial radio tuner. We liked the Hyundai Sonata SE when it was reviewed back in 2010, calling it "a great value, packing in a strong assortment of standard and optional cabin tech, good looks, and performance, all while maintaining a relatively low price." The 2012 Hyundai Sonata SE 2.0T is the same great car, but with a lot more power and, with the aid of Active Eco mode and a light right foot, only slightly less efficiency. I also like that owners have the option to add one of three levels of connectivity with the new standard BlueLink system. The good: The 2012 Hyundai Sonata's turbocharger adds a substantial amount of power. The optional navigation system is simple, yet effective. Bluetooth calling and most digital audio sources are standard. The voice command system is quite good and the addition of BlueLink telematics rounds out the dashboard tech. The bad: No manual transmission available on this "sporty" SE model. Navigation maps don't feature a 3D view. Observed fuel economy left much to be desired. The bottom line: With more power and more tech, the 2012 Hyundai Sonata SE 2.0T offers a lot of bang for your buck. It’s not every day that a carmaker launches its latest model not at a swanky hotel but on a full-blown track event. 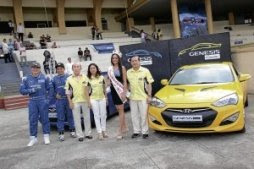 Hyundai Asia Resources Inc. (Hari) did just that when it launched the 2013 Genesis Coupe at Round 3 of the Lateral Drift Championship, in front of the Quirino Grandstand in Manila. Rather than mount a static display, Hyundai put on a show as the new Coupes swept around the track in true drift fashion under the skilled hands and feet of drivers like Atoy Llave of Atoy Customs. vans and sedans. The coupe is a world-class sports car platform, with rear-wheel drive and a choice of sufficiently powerful engines. The most significant upgrade to the 2013 model is the powertrain. The four-cylinder variant gets a new 2.0-liter Theta engine equipped with a twin-scroll turbocharger. Compared with the previous turbo, the twin-scroll design is able to recover more energy from the engine’s exhaust gases, resulting in more power. The new engine outputs 257 hp, a nearly 50-hp increase from the previous model. Theoretically, a twin-scroll design is also more efficient than a single-scroll turbo. 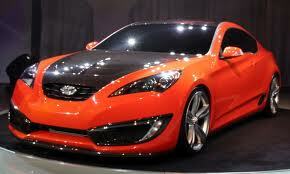 The top Genesis Coupe still gets a 3.8-liter V6 engine good for 300 hp. Sporty drivers will choose the six-speed manual, while those opting for comfort will enjoy the new 8-speed automatic with paddle shifters. A Torsen limited-slip differential helps put the power down to the road by limiting wheelspin on loose surfaces. Thanks to the front-engine, rear-wheel drive layout, weight distribution is a near-ideal 55:45 percent ratio front to rear. 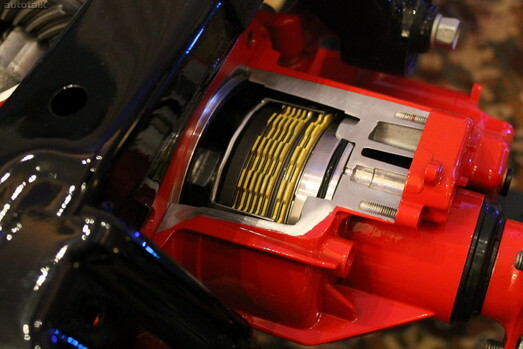 Manual-transmission cars also get Brembo brakes as standard. Active headrests combine with six supplemental-restraint airbags, including side and curtain bags. No upgrade is complete without a facelift, and the new coupe gets a prettier face, courtesy of new headlamps integrated into a new fascia. The new face gets a look that is more similar to Hyundai’s new corporate face, as seen on the likes of the Sonata and Veloster. 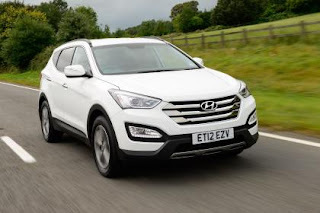 The grille is now the standard hexagon, with twin hood nostrils. The headlamp main beams feature HID technology, and LED strips around the foglights lend a more modern look. The taillights also use LED lighting. 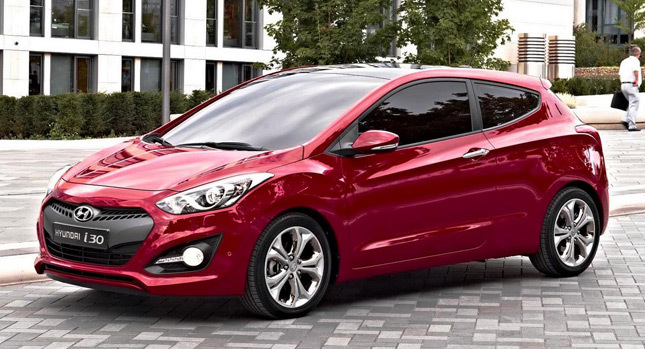 19-inch alloy wheels are standard. Inside, the Genesis Coupe gets a 5.6-inch display with an Infinity audio system. The Audio system has Bluetooth capability, and is iPod compatible. It can also swallow six CDs for those who can’t part with them. A new triple-gauge cluster shows acceleration, torque, and oil temperature, while a trip computer provides more information. The dashboard features hand stitching to give a more upscale feel to the interior. And the new seatbelt extension guide saves your shoulder, and perhaps your wristwatch too, from aggravation. The Genesis Coupes were the star of the Lateral Drift round, as a pair of yellow and blue Coupes did their drift dance on the track. The Genesis Coupe showed its precision handling capabilities by allowing pinpoint maneuvers on the track, with the customary human speed cones acting as the markers. Drift racers Alex Perez, Gio Rodriguez, and Llave put the Coupes through their paces. THE GENESIS Coupes were the star of the Lateral Drift round, as a pair of yellow and blue coupes did their drift dance on the track. On hand to witness the power of the Genesis Coupe were Hari chairman Edward S. Go, Hari president and CEO Ma. Fe Perez-Agudo and chairman emeritus Richard L. Lee. The Genesis Coupe is available in a choice of eye-catching colors: yellow, red, white, two shades of blue, silver, gray, black and copper.